It’s no wonder with its breath taking beaches and temples that Thailand is the number one tourist location in South East Asia. With Bangkok the buzzing capital of Thailand, theirs literally hundreds of things to do. 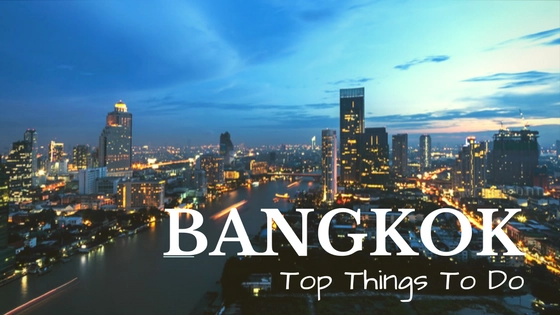 Bangkok has something for everyone, from its temples to its markets theirs also shopping malls, museums and palaces. So the problem for any visitor to Bangkok is deciding on the list of things to do in Bangkok. So, I narrowed it down to a list of 12 things to do in Bangkok. 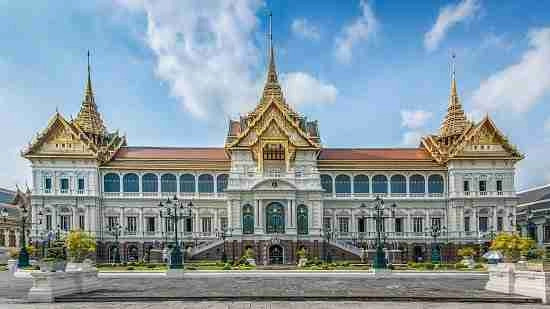 Grand Palace is probably the most famous attraction in Bangkok. The royal family no longer live here but was the home to the king for 150 years. During the tour of the Grand Palace you can walk around the grounds and enter open temples but can’t enter buildings. Remember there is a strong security present around the palace, so have your ID and there is a strict dress code is in place at the palace so you can’t wear shorts or entry will be refused. The temple of the Reclining Buddha is pretty much beside the Grand Palace. 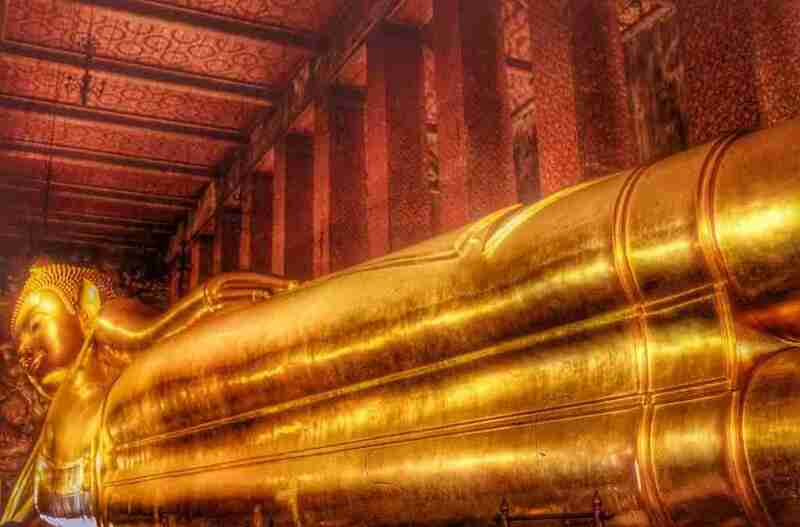 Its is also known as Golden Buddha or Wat Pho. The Wat Pho complex fairly big but doesn’t take long to see the statues, you could spend a day wandering this maze. Lumpini Park is like Central park in New York. Lumpini park has trees, playgrounds even an artificial lake where visitors can rent boats. The paths around the park are 2.5 km in length and like Central park in New York are a popular area for joggers. It offers a nice break from the busy streets of Bangkok. It’s worth remembering dogs are not allowed and smoking is banned. Thai Kickboxing also known as Muay Thai, is the national obsession. As your wander around the city, there will be a lot of promoting of these fight nights that are taking place around the city. In Bangkok the main spots for these fights are the Ratchadamnoen Stadium on Ratchadamnoen Nok Road, or at Lumpini Stadium on a Saturday. Remember the film ‘Hangover part 2’. Visiting the Sky Bar seriously awesome panoramic views of Bangkok’s skyline and the Chao Phraya River, especially at night. There is a dress code, so wear something nice. Sky Bar is the second tallest building in Thailand is the world’s highest open-air bar on the 64th floor. There’s also a big dining area with great and cheap food. Temple of Dawn also known as Wat Arun is among the best known of Thailand’s landmarks. 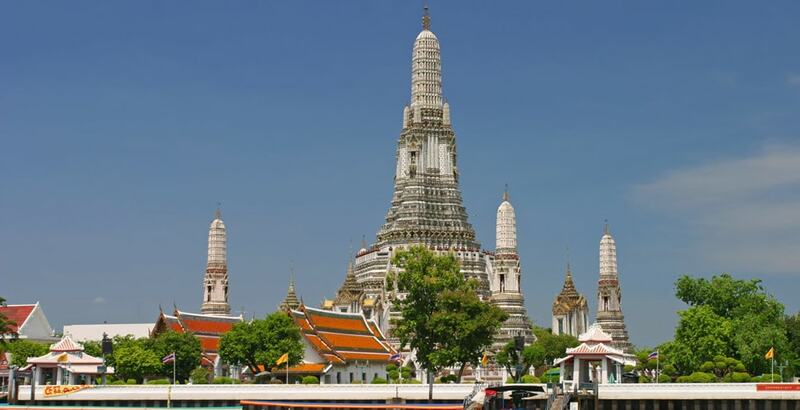 Wat Arun is situated opposite to the Grand Palace, across the Chao Phraya River. Its majestic spiral tower structure has one of the most beguiling temple designs found in Thailand. Siam Ocean World is Southeast Asia’s supposed largest indoor aquarium is located inside the Siam Paragon shopping mall and shows off tens of thousands of creatures different species of fish and other marine life here including octopus, seahorses and turtles and the always entertaining penguins. 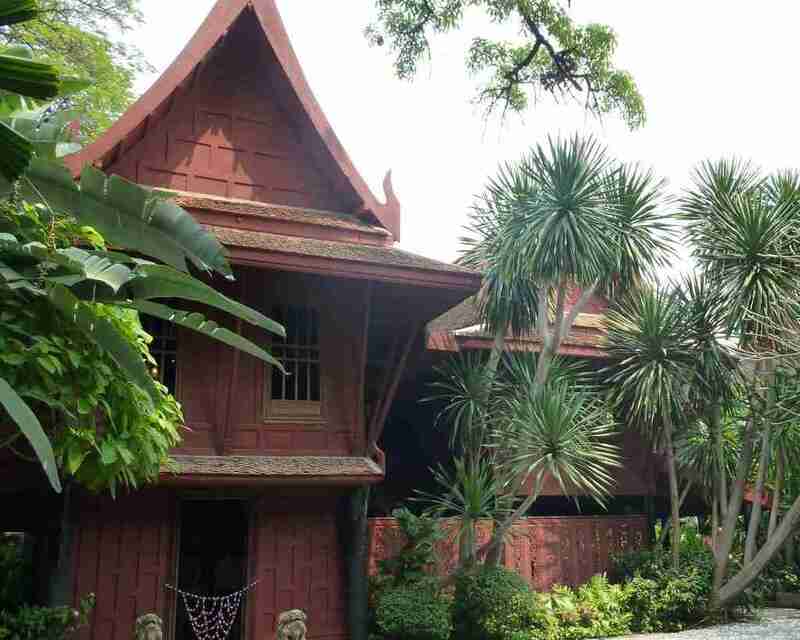 Today, Jim Thompson House is a museum in central Bangkok. Jim Thompson was responsible for transforming the silk industry in Thailand, earning him the ‘Order of the White Elephant’. Within Jim Thompson’s house there are paintings and other collectibles such as sculptures on display which were got by Thompson during his art buying trips around the Far East. 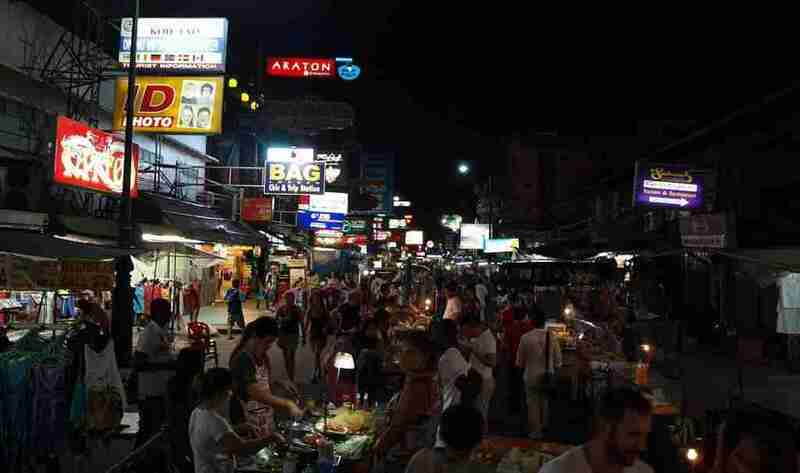 Khao San Road was make famous by Leonardo DiCaprio in the ‘the beach’. During the day, the road is buzzing with stalls, tour operators, and bars/cafes, while at night it’s the food and nightlife. You can ride the water taxi up and down the river for around 20 baht (less than $1 USD). The tours are overpriced. In Bangkok there is loads of shopping centers or shopping malls. Shopping malls sell everything from clothes, electrics to food. Here is some of the malls to visit. Finally, as you can see, there’s a lot of things to do in Bangkok other than just temples, nightlife and shopping, it’s really only the tip of the iceberg. And, the list above is only a few of them. And that’s it for now! 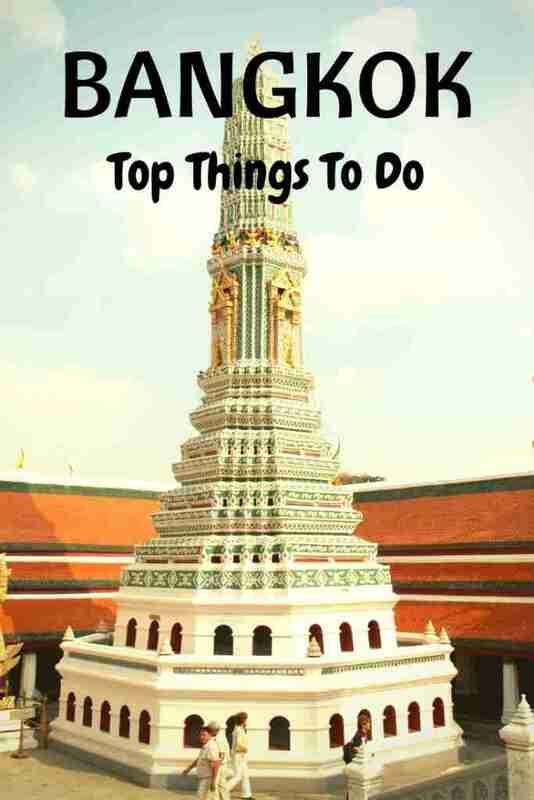 I’d love to know if this guide on the things to do in Bangkok Thailand has helped you. Let me know if you have any questions and let me know if you go too.